It’s true! You can definitely make a statement with either a client, customer, or employee — just from one promotional gift. 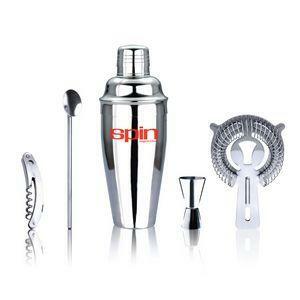 And that promotional gift can be, very easily, a cocktail shaker! Of all things…. And that celebrating can require cocktails. Wet bars. Liquor. You can imagine the look on your client’s face when they receive a promotional gift for doing business, and that gift happens to be a branded cocktail shaker. The question, though, then remains: just how effective is a promotional cocktail shaker for marketing purposes? Plenty effective, actually. And that’s all it takes. Customers see the brand on there. They’ll recognize. It’s basically free advertising, and you can learn more right here about the demographics and the fact that you have a guaranteed revenue booster that’ll last a lifetime for as long as you have those cocktail shakers. 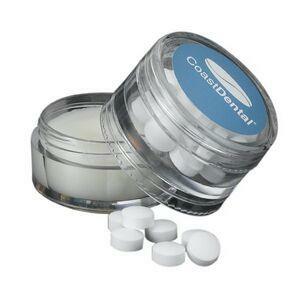 There are several possibilities on how such a promotional gift can benefit an individual (or business). Sure, it’s fun (everyone loves to mix a drink, right?). But there’s so much more to it as you stand there by the bar, shaking the cocktail with a brand marketed right there. Check out more of the insight right now. The branded cocktail shaker makes for a great gift anyway. For anyone. From anyone! The fun of it almost outpaces the actual value of it from a business perspective. Don’t discount just how cool it would be to have your very own cocktail shaker featuring any brand you want, and it would apply to just about any industry or market! Come to think of it…. That’s probably the best benefit of a promotional cocktail shaker: versatility. Learn more about BRAVA Marketing here, and as always you can contact us immediately. View some of the many options we have in cocktail shakers as well! And start mixin’. In this day and age, competition’s fierce. You have to go the extra mile. Why? Because you can lose customers to competitors in a blink of an eye unless you know how to foster those big business relationships! Not just any lip balm. Lip balm with your BRAND ON IT. It sends a message. You’re a cut above the rest. You go above and beyond the regular call of duty. You’re better than the competition. More importantly, you’ll keep your customer base for the long haul. Isn’t that arguably the most important aspect of successful business? Not just getting new customers, but retaining your current ones! What better way to do that than with promotional gifts as a THANK YOU for doing business? And, yes, you can do that with custom lip balm! And you have to stand out somehow. We assure you: lots of companies will be doing the promotional gift thing for the long haul, because they really have to. They can’t afford not to. So being creative is a must. At BRAVA Marketing, you can find a huge host of different products to use as a way to say THANK YOU to your customers or clients, and the point of custom lip balm is that everyone can need it! It’s a household item. It’s a MUST (especially during the winter, and sometimes the summer). So you give your customer a win-win. It’s a free gift. It’s useful. And it’s got your name on it. You tell ME if that doesn’t help your business stand out. For more options on custom lip balm, click here and then contact us, so we can get you started right now! What’s the one thing you, as a business, should do when working with clients or customers? Provide excellent service…. Offer multiple solutions…. Dress for success…. No, there’s just one mandate when working with clients or customers: a simple thank you for your business will do. But don’t just say it. Do it. And you do it with branded gifts, such as promotional lip balm! And that’s not the only reason for offering promotional lip balm as a THANK YOU gift. You can check out some more insight right here; but first, let’s get into the WHY this is so important. Clients and customers like to see something tangible in their hands. This goes in line with the fact that these days, often people have terrible memory. You can thank them for their business, but ultimately what they’re going to remember is the service you provided, the product you offered, and — even more important — your attitude! And nothing says a great attitude like branded lip balm, or just about any logo screen-printed gift showing your appreciation for their patronage. In a number of ways, actually. The sky’s the limit with BRAVA Marketing, so the best thing you can do for your business is take a look at the possibilities. Stand out. Get creative. Develop SWAG bags (yes, with promotional lip balm in them). Make a statement. Crush the competition. In that way, you make a lasting impression on the client/customer for the long haul, and they also remember that you mean business. You’re about relationship building. Not about the constant, dull and dry THANK YOU after every transaction, often heard at the grocery store or department store. Remember: the problem with that mentality is that you’re not the average grocery store or department store. 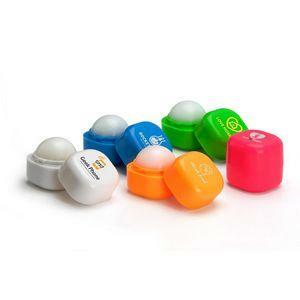 For more options in promotional lip balm or branded products, check out some of our designs right here. Contact us today! And let’s get you branded the right way.